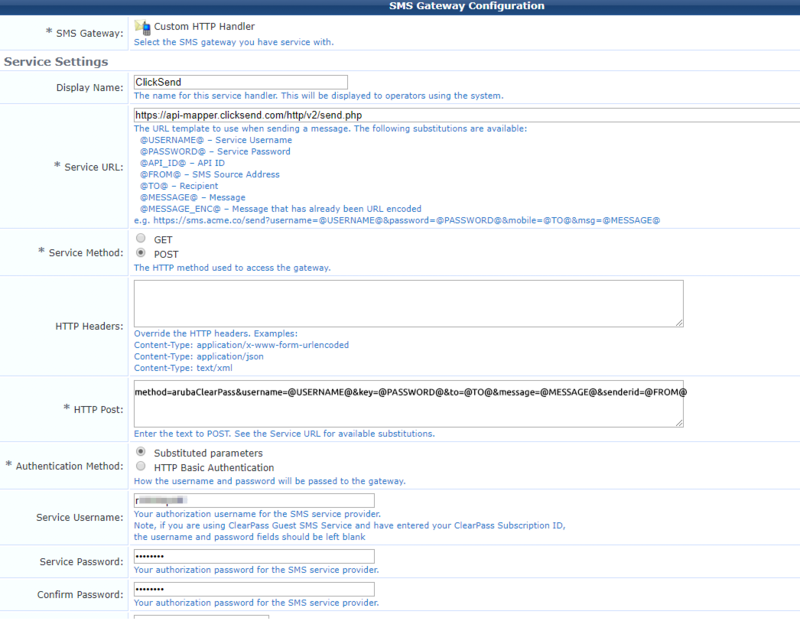 To send SMS with Aruba ClearPass, enter the details below under the Custom HTTP Handler SMS Gateway Configuration. Service Username: your ClickSend username from here. Service Password: your ClickSend API key from here.